Lebensweker means literally "Life awakener" and the instrument widely used in Germany Europe and America in the 19th century. 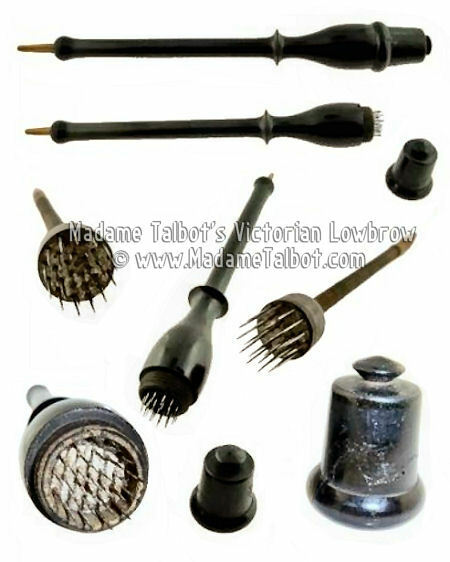 The hollow ebony tube contains a handle with a coiled spring attached. The open extremity of the cylinder is placed firmly on the skin; when pushed, the spring will suddenly recoil which then deploys about twenty-five sharp needles, each about nine-sixteenths of an inch in length smartly into the skin. The wound is then wiped with oleum baunscheidti, an oil derived from gnat saliva.